Almost two weeks have gone by since NPS3 and praise for the weekend event is rolling in. For those of you who missed out or would like to refresh your memory of the speakers and sessions, we’ve collected a few of the reviews here. Karen Strunks, who gave her own talk on the 4AM Project, reviews the weekend here. Sara T’Rula gives a day by day rundown of NPS3. Sian Gouldstone talks about the keynote sessions. Brenda Burrell visually documents John Davis’ photowalk. We encouraged attendees to tweet whilst at the symposium using the hashtag #nps3. Check out NPS3 – A Weekend In Tweets! This entry was posted in General posts on May 24, 2011 by admin. I haven’t yet got a realized project to talk about, so as well as talking about our plans in Wales I’m going to reflect on how recent developments in visual culture, specifically in contemporary photography, impact on how we conceive of the role and nature of photography centres in the future. I’m going to build my arguments with reference to Ffotogallery’s work and the ongoing efforts to establish a national photography centre in Wales. I will also share some personal views on the conceptual and architectural models that have dominated capital developments in the UK visual arts sector over the last 15 years. 2001 – Vision set out for a new National Centre for Photography in Wales. Ffotogallery, having operated a gallery successfully in Cardiff since 1978, relinquishes its existing lease arrangement and moves to an interim arrangement on split sites: Administration, education and darkrooms at Chapter Arts Centre and a gallery at Turner House, Penarth, a historic building owned by the National Museum of Wales. 2005 – Partnership in place between Ffotogallery and Neath Port Talbot Borough Council, who own and manage the Margam Park site as a visitor attraction. Idea to integrate a ‘visitor experience’ of contemporary photography with exploration of the heritage, environment and landscape of Wales. 2007 – Project collapses and site lost due to local authority pulling out, despite capital funding being in place. Arts Council holds open its Lottery funding subject to alternative site being identified. 2008 – no suitable alternative site identified. Ffotogallery Director, Chris Coppock, decides to leave after 19 years and David Drake appointed as successor, starting in March 2009. 2010 – after year of operating programme and reviewing organisation’s work, new business plan submitted to Arts Council, includes the development of an integrated centre in central Cardiff location. Outline brief for new photography centre developed and discussions opened with City Council over site options. Arts Council of Wales reaffirm commitment to the capital plan, include Ffotogallery in the National Portfolio after Investment Review, and indicate availability of Capital Lottery Funding from 2012. We can present the exciting UK and international photographic work that doesn’t get adequate exposure or informed critical examination by writers and curators elsewhere. We can explore in depth specific narratives around contemporary photography and its development. These are under-represented and in some cases woefully unaddressed by the current generation of contemporary art curators and programmers in UK museums and galleries. There is a loyal and growing artistic constituency that needs a focus for their area of interest: photographic artists continue to make work. The fine art or documentary photography degree courses in the UK remain oversubscribed, despite the challenge of high tuition fees and limited career opportunities. Photography centres are not just about exhibition of work, they offer opportunities for creative participation, life-long learning, online and print publishing, bookshops, cafes, artist groups, membership for artists etc. Digital developments have expanded the field of photography such that it is now inseparable from the wider contemporary visual culture. Given the massive number of people who enjoy photography online and in print form, why spend a lot of money on gallery exhibitions which only a few people visit? I believe these two questions can be addressed together by flipping the arguments around. I would argue that new and existing photography centres should intelligently examine contemporary photographic art in this complex and changing cultural landscape, avoiding doctrinal adherence to an existing ‘canon’ of artists or fetishisation of the photographic image in its traditional form or context. Secondly, I think we need to unpack what we mean by a huge online audience for photography, and focus on those with a specific interest in contemporary photography as art. Although I can’t prove it, my anecdotal evidence is that people with a serious, critically engaged interest in contemporary photography enjoy it online, in print form and in galleries – and visiting galleries in photography centres can provide both a social experience and reflective environment for viewing work quite unlike the other platforms. Firstly, a move towards being digital media centres brought about the closure of several dedicated photography galleries in the 1990s – Watershed and f Stop being two such examples. Secondly, we should be careful not to confuse or worse still lose our most loyal audiences. Ffotogallery ran a new programme called Vision On in 2009, which looked at data visualization, gaming, sound and vision, social networking etc. Created a participatory ‘anti-gallery’ feel to the space. We gained some new people, but lost a major share of our regular audience for the duration of the season. “what of those who work today with equal commitment and sincerity, using straight photography in the cacophonous present? I will not name names here, but for these serious photographers the fog of time still obfuscates their efforts, and the blindness j’accuse some of the art world of suffering from, narrows their options. It means their work will almost never be considered for Documenta, or placed alongside other artists in a Biennale, or found for sale in major contemporary art galleries and art fairs’. Clearly there certain big name artists whose agents and representatives will block approaches and want to position them only in relation to the most powerful and well-resourced visual arts institutions in the UK. However, thankfully I have found no shortage of high calibre, prominent international artists to work with and who see it as a privilege to be invited to exhibit in Wales. Technology that is as ‘future proofed’ as possible. The right ambience – a rich sensory experience (the smell of coffee and freshly baked muffins, a well stocked bookshop and a bar that is welcoming and a good meeting place for artists and creatives). This entry was posted in General posts on May 21, 2011 by admin. 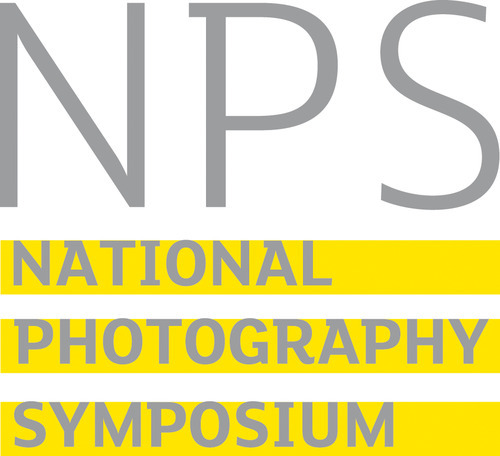 First of all, a big thank you to all the people behind the National Photography Symposium event! What a wonderful, photography inspiring weekend! I was honoured when Paul Herrmann asked me to speak about my global photography project. To let you into a secret, speaking at this event was one of my goals, so it was fantastic to be able to realise it. In case you missed my talk, I captured it on video. I gave an overview of the 4am Project, how it began, how I harness the power of social media and free online tools to run it and gather a following, who the project appeals to, some facts and figures and some of my plans for it’s future. 4am Project presentation by Karen Strunks at the National Photography Symposium from Karen Strunks on Vimeo. If you have any questions or want to get in touch, you can find all my details here. Thank you again to the National Photography Symposium, and Red Eye and Look11. I’m looking forward to the next event! This entry was posted in General posts and tagged 4amproject, guestspeaker, karenstrunks, nationalphotographysymposium, nps3 on May 16, 2011 by admin. Photographer Paul Hill, who talks at the 2011 NPS on photographers and their archives, here explores the growth of British photography in the 1970s. The 1970s was, in my opinion, photography’s most important decade of the 20th century. During this period its traditional practices were questioned – even undermined – its profile as a medium of creative self-expression was raised immeasurably, and the teaching of the subject changed beyond recognition. This is my view – partial and self opinionated – but at least I was there, hopefully providing the researchers of today, who have no particular axe to grind, with primary material to help them analyse this exciting era with critical detachment and insight. I want to stress the importance of education and dissemination during this period. The products were good and the message worth listening to, so let the wider public, as well as the cognoscenti, know about it. No one will be beat a path to your door until they know your address. Promoting debate, as well as confronting cliché-ridden photography and out-moded custom and practice, was crucial, and via various avenues, including academics, who had up to then viewed the subject as a purely vocational one, photography found a new position on the cultural and artistic map of Britain. Of course, there is a personal pre-history, and mine is similar to that of many who joined the cause – unusual. I became enamoured of personal photography, as we called it then, through journalism. I was a newspaper reporter before I decided to make one of my hobbies – photography – my career when I became a freelance in 1965. Although news photography was my mainstay, I began to appreciate other sorts of image making, and was particularly influenced by Bill Brandt’s Shadow of Light in 1966. It opened my eyes to exciting new ways to make photographs, and probably changed me more than I realised at the time. When I was working for the Financial Times a year later, I was given a copy of Creative Camera Owner (later Creative Camera ) by the picture editor and started to understand what self expression in photography meant. An FT reporter friend became features editor of the Telegraph Magazine and invited me to meet their new picture editor, the inestimable and controversial Bill Jay , who had just been sacked as editor of Creative Camera. He gave me a few assignments and lots of anecdotes about my heroes, like W.Eugene Smith and Brandt, and the new kids on the block: Tony Ray-Jones, Diane Arbus, Lee Friedlander, and Garry Winogrand, amongst others. I also accompanied Bill when he visited the Sir Benjamin Stone archive in the Local Studies section of Birmingham Central Library (I lived in nearby Wolverhampton at the time), and sought him out one or two estimates from printers for his new magazine, the highly regarded Album. I have many stories about Bill, and visits to the magazine’s tiny offices and his friend and advisor, David Hurn’s London flat,that would graphically illustrate the eclectic mix of photographers that emerged from the 1960s. I would characterize most of them as buccaneers and mavericks who wished for photography to be regarded as an art form, although they themselves were largely self taught and had only a sketchy knowledge of the history of photography, let alone art history. The optimism and pizzazz of the sixties had given them self-belief and confidence to challenge the establishment and change the status quo. But there were other emergent photographers, equally determined to alter things – but politically – who also employed photography – the socialists and militant marxists. They championed socially concerned photography, and thought ‘art photographers’ (a new designation then) were navel-gazing, self indulgent w**kers. It was thought by many that ‘real photographers’ were macho hunters who shot pictures and captured actual life. Although the agendas were different, the two camps rubbed along together quite well, with occasional ideological skirmishes, as outlets for personally driven work were few and far between, with no specialist galleries and only one or two British photographic magazines (except Creative Camera) prepared to infrequently publish experimental work. Frustrated by the increasingly trivial photographic content of newspapers in the early 1970s, I decided to try my hand at teaching. After a spell at North Staffordshire Poly in Stoke-on-Trent, I was invited to become a part-time lecturer at Trent Poly in Nottingham. Bill Jay taught there part-time, and he recommended me to the head of photography, Bill Gaskins, who was also to become chairman of the recently established Photography Committee of the Arts Council. Gaskins wanted to start a new kind of photography course that encouraged experimentation and placed the medium in a wider cultural and historical context. One of our students, Diane Lyons (later of Aperture) went to work for The Photographic Journal and invited me to write a piece for that august RPS monthly magazine. Reflecting my disenchantment with my former career and wanting to wave the flag for photography as art, it was entitled: Photojournalism – The British Obsession. Despite its controversial tone and content, the membership failed to put pen to paper, unlike the response I received to an article I wrote for Camera three years later. British photography seemed to me to be largely in a state of torpor then. But my depression was partially lifted that same year (1973) when I was invited to exhibit in the first major show of contemporary British photography at the Arts Council’s Serpentine Gallery in London. Called Serpentine ’73 and curated by Peter Turner (of Creative Camera) and Sue Grayson, it drew large audiences and many newspaper and magazine reviews, which, predictably, dragged up the then frequently debated question: ‘Is photography art?’ Thankfully, the public loved it and it proved an inspiration to many photographers and students who were delighted to see their medium in the art spotlight at long last. Although social documentation and studio practice were in the new Trent Poly course curriculum, making photographs that were artworks in themselves was encouraged more enthusiastically. Creative imagination and chance taking were valuable attributes whether the student wanted to work as a commercial photographer or fine artist. The craft of printmaking was also taught as the collector of fine prints will always want hand made, archivally processed work. This was a new market for photographers and when we submitted our proposal for a diploma course in Creative Photography, in conjunction with Derby College of Higher Education (Gaskins was head of photography there before moving to Trent), we built this component into it. The course was unique, and because of this, it attracted talented students from around the world as well as the UK, and the top names in photography as visiting lecturers. In 1974 I was made a full-time lecturer and moved to Derbyshire, where I would later set up The Photographers’ Place with my late wife, Angela. That same year Gaskins asked me to organise a summer school, which, I thought, should be primarily aimed at photography lecturers, many of whom were eager to see at first hand what personal photography and art photography were all about. Run in conjunction with the Society for Photographic Education (now defunct), it ran for two weeks in Nottingham and was called a workshop. I invited David Hurn, who had recently started a course in documentary photography in Newport, Gwent, and Peter Schlessinger of Apeiron Workshops in the USA, to lead the teaching, aided by an American member of the Trent staff, Thomas Joshua Cooper. There were contributions from Chris Killip, Gilles Peress, and Raymond Moore, who later joined our photography department at the polytechnic, amongst others. The Trent/Derby students were soon getting noticed through exhibiting in places like the RPS in London, and via their final diploma shows in Nottingham and Derby. Because their photographs ‘showed a maturity which made it difficult to believe that it was the work of students’, the course attracted attention and envy. By now Tom Cooper and I were firm friends, as well as teaching colleagues, so we decided we needed a credo. In the same year as the summer school, we wrote the polemic: Can British Photography Emerge from the Dark Ages? and sent it to The Guardian, together with a selection of our students’ pictures. The arts editor rejected it and sent the article back minus the pictures! Eventually they paid for the lost work, so the students at least got something. Peter Turner heard about this episode and asked if he could put the piece, with new pictures, in Creative Camera. The article and illustrations attracted attention (and more student applications) and writers and reviewers came to Nottingham to see this ‘new’ photography. This was decades before Damien Hirst and his fellow art students at Goldsmiths College in London created a media buzz around their Frieze exhibition. Unfortunately, the students did not get their work back from Creative Camera either. The editor had spilled coffee over it! But sacrifices have to be made if you want people, particularly the media, to take notice. The students were not entirely convinced, but we told them that those who choose a career in the media – and many did – would at least make sure they valued the work of contributors better than theirs had been. Outside formal education other exciting initiatives were emerging, like the Real Britain postcard project, Co-optic, and the community orientated Half Moon (later to become Camerawork) and Cockpit workshops in London, and Midland Group Photography in Nottingham. It started the annual Midland Group Open Exhibition in 1972, which attracted photographers from all over the world, including Robert Mapplethorpe, amongst others. Each show was selected by eminent curators, critics, artists and photographers, like John Szarkowski and Ron Kitaj. Earlier in the 1970s, the most important events was probably the opening of The Photographers Gallery in London (1971), to be followed by Impressions in York. One of my proudest moments was having a show at the old PG in 1972. This was somewhat diluted when they left my name off the poster announcing that month’s exhibitions. This omission only served to spur me into sending my own press release to the media, and to make sure that in future I would closely monitor marketing and publicity as well as hanging the work! Like many others at the beginning of that decade I was pretty ignorant of a great deal of the history of the medium. But through my friendship with recent American graduates who taught at Trent Poly, like Tom and his predecessor, John Mulvaney, I found out an immense amount as they were taught by the best around at the time – Van Deren Coke and Beaumont Newhall – at the University of New Mexico, where Bill Jay became a student after Album and the photography study centre he started at the Institute of Contemporary Art, London folded in 1972. He was followed by Valerie Lloyd, who later became the RPS Curator when the society moved to Bath. I was on the Arts Council Photography Committee in the mid 1970s when the RPS applied for financial help. We all thought that the best thing about the society was its fabulous collection. Van Deren Coke was commissioned to examine it and report to the council. He was scathing, and concluded that the collection should be properly catalogued and conserved as soon as possible as it was in peril. We recommended funds be given to the RPS for 3 years for this to be done, and Val was employed as a cataloguer. But she soon referred to herself as ‘curator’, and job creation funds were found to take on workers – often former photography students – to start the cataloguing, which, I believe, went on for the next 20 years! My photographic education was further enhanced when Tom and I decided to interview some of the ‘movers and shakers’ of 20th century photography, from Ansel Adams to Man Ray, Cartier Bresson to Cecil Beaton, between 1974 and 1978. Originally published in the tri-lingual monthly magazine Camera, the 22 interviews were compiled into a book, Dialogue with Photography, which has never been out of print. It was extensively reviewed around the world, and New York Times art critic Hilton Kramer thought parts were ‘essential reading’ for those interested in photographic history.5 We mostly funded what turned out to be a complex and lengthy project, through the reproduction fees for each interview we received from Camera. In 1976 the editor, Allan Porter, asked me to write an article on photographic education in Britain6 to accompany portfolios of my photographs and those of Raymond Moore and John Blakemore. All three of us taught on the Trent/Derby course at the time. My piece was deliberately hard-hitting and critical of the educational establishment. Although very similar to the ‘Dark Ages’ and ‘ British Obsession’ polemics7 in tone, this time, two and three years on, there was a reaction, with numerous letters to the editor of the British Journal of Photography and a very trenchant and vitriolic response from the well-known photographer and educator, Walter Nurnberg8. A benefit of having connections with the Art Council and the Photographers Gallery was being able to know what exhibitions were being planned and what photographers were visiting the UK. In 1976 I learned that New York-based photographer, Ralph Gibson had been commissioned to do some work in England. This gave me the opportunity to ask Ralph, a seasoned workshop leader, if he would do one for me in Derbyshire whilst he was over here. Angela and I had been considering the idea since the Trent summer school 2 years earlier as our rural location was most suitable – if a little cosy – and had been successfully used by my poly students for field trips. He agreed, and The Photographers’ Place, this country’s first residential photography workshop, was born. Teachers, students and helpers who participated over the next 20 years are too numerous to mention, but they included youngsters, like Andy Earl, Tom Sandberg, Debbie Baker, Paul Graham, Greg Lucas, as well as big names, like Paul Caponigro, Fay Godwin, Thomas Cooper, Raymond Moore, Lewis Baltz, Hamish Fulton, Aaron Siskind, John Blakemore, Cole Weston, Charles Harbutt, Martin Parr, Jo Spence, and many more. One of the most comprehensive accounts of this period was written by William Messer, whose article The British Obsession: About to Pay Off ?9 took up most of the 1977 issue of the prestigious U.S. Camera Annual. This indicated that, as well as the rising profile of photography in this country, there was, by the mid 1970s, increasing interest abroad too in what was happening here with our publicly funded support schemes for photographers, the rising number of specialist galleries and community workshops, and our innovative photography courses and publishing ventures. Broadcasters were also taking note. I had been involved with Tom Cooper and David Hurn in a TV piece for Arena, the new BBC 2 arts programme. In conversation with the producer afterwards, I suggested that the BBC should make a series on photography. He asked me to send him some ideas, which, after a few more meetings became Exploring Photography, a six-part series written and presented by an old friend and former newspaper colleague, Bryn Campbell. It was accompanied by an excellent publication10 and the series was often repeated over the next 10 years. Another indication of the new enhanced status photography was acquiring within the arts establishment was best illustrated by the Arts Council’s premier gallery, the Hayward on London’s South Bank, agreeing to a major exhibition of contemporary photography on the lines of the gallery’s famous (then) annual art show. At an Arts Council Photography Committee meeting, one member, Victor Burgin suggested the exhibition should reflect different perspectives of British photography. The first (and last) one – Three Perspectives on Photography – was in 1979 and the 3 sections would focus on socialism, feminism and modernism. The curators were John Tagg, Angela Kelly (a former Trent/Derby photography student), and me. I was able, in my selection, to not only articulate and illustrate my ideas (via the catalogue), I was also able to introduce relatively unknown photographers, like Martin Parr, Brian Griffin, Graham Smith, Raymond Moore, Thomas Cooper, and Roger Palmer to a wider non-specialist audience. ‘Compared with John Szarkowski’s Mirrors and Windows at the Museum of Modern Art, New York last year, there was an air of freedom and confidence,’ said one critic11. The exhibition attracted much attention, but there is not enough space here to go into the many interesting and controversial issues that were raised by it. It was strange to curate an exhibition of British photography in the same building where, at the beginning of the decade, I was marvelling at a major show by Bill Brandt, a person who had influenced me more than anyone else. The South Bank Centre did not organise the 1970 Brandt show themselves, preferring to hire it in from MOMA, New York. The mounting of Three Perspectives was an indication of how things had moved on in a few short years. Another was the increasing number of auction houses selling vintage prints and commercial art galleries beginning to hang photographs on their walls. In 1978, the Robert Self Gallery, which had in its stable of artists, Gilbert and George, Boyd Webb, Victor Burgin and Hamish Fulton, gave me a one-man show in their new Covent Garden space. And I actually sold some prints too! But the best moment for me was Bill Brandt spending over an hour going round this show of my new work, looking intently at each piece, and most politely thanking me, in his whispering voice, for inviting him. What a difference this decade made for photography – and for me. This entry was posted in General posts on May 12, 2011 by admin. A postscript to the main article on “Imagining the Photography Centre of the Future”. There’s a history of the Scottish National Photography Centre here. Its former chief executive Graeme Murdoch will talk at the Symposium. An interesting story has also been mentioned on the difficulty of getting certain work seen in Britain: the exhibition A Ballad of Love and Death investigates the uniquely British phenomenon of Pre–Raphaelite Photography. It is on at the Musee D’Orsay in Paris at the moment, then moves to the US; but it will not be seen in the UK. The same was true for the show Impressed by Light, on British Calotypes, curated by Roger Taylor of De Montfort University, Leicester. The book won the Kraszna-Krausz Award, and the exhibition showed in New York, Washington and Paris… but not the UK. This entry was posted in General posts on May 9, 2011 by admin. What kind of photography centre would you like to visit? When people who love photography travel, is there an obvious place of photography to visit? And what fills that role in the UK? When we at Redeye started asking around informally about this topic, we were surprised at what came out. Many photographers had thought about this before, and had clear ideas about what they would like from a centre of photography. Most had fond memories of particular centres, but some felt that existing organisations were not broad enough and that certain areas of photography were under-represented. People wanted to visit a centre that reliably had a continuous wide range of work and activities on. Of course it’s easy to say what you want, but can such places be sustained, given the increasing volatility of public funding? Should there be more centres within easy travel reach, or bigger centres in the capital cities? Are there better ways of spending money than on a building? Or in fact would the promise of something physically monumental generate more funding? Photographers might well have particular needs from centres that are different to the desires of a general audience (if such a thing exists), art professionals and politicians. But photographers tend to be loyal to their medium and have a strong interest in it flourishing. Their voice needs to be a significant part of this discussion. It’s important to know what the broad photography community wants from their centres. In the UK the specialist centres are relatively small and few in number. Meanwhile much larger general museums run occasional blockbuster shows and also acquire photography for their collections. That’s fine, but can be confusing for outside visitors, as most of them do not have continuous shows of photography. And there’s no institution dedicated to the conservation of photographs. In the last few years there have been significant attempts to create large new photographic centres in Edinburgh, Cardiff and London, though so far, none has come to fruition. Why not? That’s the starting point for the Symposium discussion. Compare the UK to the Netherlands, where in the last decade, in response to photography’s massive popularity, four new photography centres have emerged: Foam and Huis Marseille in Amsterdam, Nederlands Fotomuseum in Rotterdam and Fotomuseum in The Hague. But can we simply import a European model? Far more people take photos, which probably means that many people look at work in a more active way, and for a wider range of reasons. When you become a practitioner, you’re likely to be more interested in how work was made, how it came to be shown, and how it’s been edited and presented, as well as its appearance and meaning. Many photographers have stopped using labs and suppliers as informal meeting places. So maybe they need a physical place to gather. Or does online social networking mean people are less likely to meet in person? One of the roles of the museum has always been to preserve the context of a work, so that in a hundred years people have the best chance of understanding why it was made and what it meant. But for digital works, the internet does that job extremely well. A photograph on a blog or Flickr contains metadata describing the circumstances of its creation; it links to comments by the maker, and others by people who are viewing it, to biographies and reviews. As the semantic web grows, we’ll know ever more about digital works. And the web is an effective way to preserve images indefinitely. Does that mean a museum should concentrate on the physical object, or do museums need to find a different way to deal with digital work? The way people enjoy looking at work is changing. A print on the wall or a finely made book is a lovely thing, but so are the latest computer monitors. In Redeye’s 2010 survey the monitor was neck and neck with the print and the book as the preferred way to look at work. The latest digitally printed books don’t smell as good as offset, but they look almost as good, and are far more numerous. A photography book fair such as Offprint in Paris contains a richness and range of work that could take weeks to look through. What does that mean for the traditional gallery show, and for those who choose what gets shown? What are your thoughts? What’s your favourite photography centre and why do you like it? How do you think those centres need to change in the future? What sort of things are missing at the photography centres you’ve been to? Is the big physical centre really the most cost-effective way of building the health, knowledge and enjoyment of photography, or can flexible organisations, smart collaborations and better marketing achieve the same? And please also add your comments below. This entry was posted in General posts on May 8, 2011 by admin.